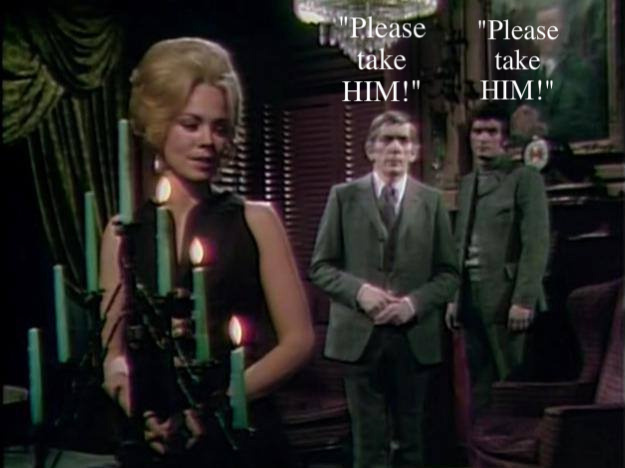 Dark Shadows--Funny Captions. . Wallpaper and background images in the Dark Shadows club tagged: dark shadows barnabas collins quentin collins angelique bouchard jonathan frid david selby lara parker. This Dark Shadows fan art might contain کاروبار سوٹ, بزنس سوٹ, اچھے کپڑے پہنے شخص, سوٹ, پتلون سوٹ, pantsuit, اچھی طرح کپڑے پہنے ہوئے شخص, پنٹساٹ, and کنسرٹ.